Senior Researcher, Nuffield Department of Primary Care Health Sciences, University of Oxford. 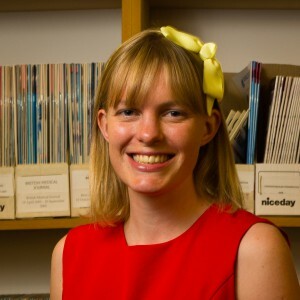 Caroline is a Senior Researcher at the University of Oxford who is working on a number of studies relating to children’s health and diagnostics. Her research aims to improve the early identification of serious illness. Caroline uses a combination of quantitative and qualitative research methods (mixed methods). Many of her projects incorporate interviews with patients/caregivers and healthcare providers. Caroline also runs a Public Advisory Group to involve patients and the public in each step of her research. Caroline’s background is in medical anthropology and public health. In her previous role at the Medical Research Council Epidemiology Unit in Cambridge, Caroline investigated ways to encourage people to walk and cycle for transport. Prior to that, Caroline’s doctoral research at Durham University, with a 3-month overseas visit to Brown University, explored children’s sleep, and the link between short sleep duration and obesity. At Oxford, Caroline is a module co-ordinator for a module entitled Mixed Methods in Health Care Research within the Masters in Evidence-Based Health Care course.